Creating an eye catching, effective display doesn’t have to be boring. With our glass cube display units, you can engineer a beautiful, modern and unusual way to display everything from ornaments to shoes and much more. Perfect for window displays or in store point of sale arrangements, when it comes to display cubes UK businesses can count on the quality of our products. Square glass retail display cubes: These versatile large glass cube units offer a perfect solution to displaying all sorts of products and items. Whether you need a single cube to elevate your chosen product, or an arrangement of several window display cubes, achieving your ideal display has never been easier. Sold in quantities of one, two, three, four, six or eight cubes, you can start small and build big, adding to your cubes as the need arises. Triangular configuration packages: As well as stacking these large glass cube units in a square pattern, we also have a pre-packaged glass cube display for sale which is suited to a triangular arrangement. Ideal for placing in awkward areas, such as under staircases, or simply creating a contemporary asymmetrical display, you can choose from a small package of just three cubes right up to an arrangement of 10, all completely customisable in layout to fit with your changing needs. Glass cube connectors: Choose from two, three or four-way glass cube connectors, finished in chrome for a smart, modern look. These connectors fit glass and acrylic panes up to 6mm in thickness, and can be bought with our pack of small or large panes to create an arrangement of your very own design. If you need help to buy glass cubes for shops or window displays that really suit your needs, just get in touch and we’ll create the perfect package for you. Whether you want a solution that’s easy to deal with straight out of the box, or prefer to create something that’s more bespoke to you, our cubes, panes and connectors offer everything you could wish for. 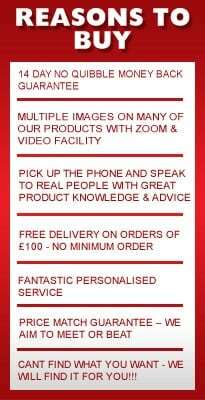 Talk to our team for advice, or to get a quote for your perfect package. Every single glass cube display for sale on our website has been designed and manufactured by us, so we can keep prices down whilst still ensuring your product is of the very highest quality. We use 4mm tough glass for the panes, and robust chrome connectors to ensure a rigid, reliable finish. Our standard cheap glass cube units measure 288mm square, but if need differently sized glass retail display cubes, just give our team a call. Because we develop and build our own products, we are able to manufacture new products specific to your order. When it comes to display cubes UK businesses don’t have to ‘make do’ with what’s already on the market. We’re happy to step in and create retail display units to your unique specifications, achieving a bespoke, hand built finish that is perfect for the space you have available. When price matters, but quality does too, our glass retail display cubes will tick all your boxes. Here at Valentino’s Displays, we understand that time is not always on your side. For this reason, we offer our window display cubes and connectors for delivery nationwide at a speed to suit you. If you need something in a hurry, we offer a next day delivery service, and other express delivery option. However, if price is more important than speed, you can also benefit from our great value standard delivery, offering low priced shipping within a reasonable timeframe. For our customers overseas, we can also ship these products to you. Cost and timescales will vary depending on where you are, so just get in touch for a quote and we’ll be happy to help. If you have any questions about how to buy glass cubes for shops, or about any of our other retail display units, call our expert team today and find out why we’re the UK’s number one.